This entry was posted on Friday, September 22nd, 2017 at 11:03 am	and is filed under Gaming History, Regular Features, Retro Scan of the Week, Retrogaming. You can follow any responses to this entry through the RSS 2.0 feed. You can skip to the end and leave a response. Pinging is currently not allowed. I felt (feel) the same way about Super Metroid & Donkey Kong Country, though I don’t remember enough about DKC to remember why. I don’t really have an opinion regarding which game was the most underrated—unlike with the NES, our friends & the rental stores didn’t seem to have a wide variety of games. The only truly non-popular title I recall playing was Merlin, and it would be difficult to underrate. Man, I remember those ads. I remember throwing them all away because the StarFox thing was useless as a pinup. I still have one of the Zelda 3 ones on my wall today. Go ahead, laugh. 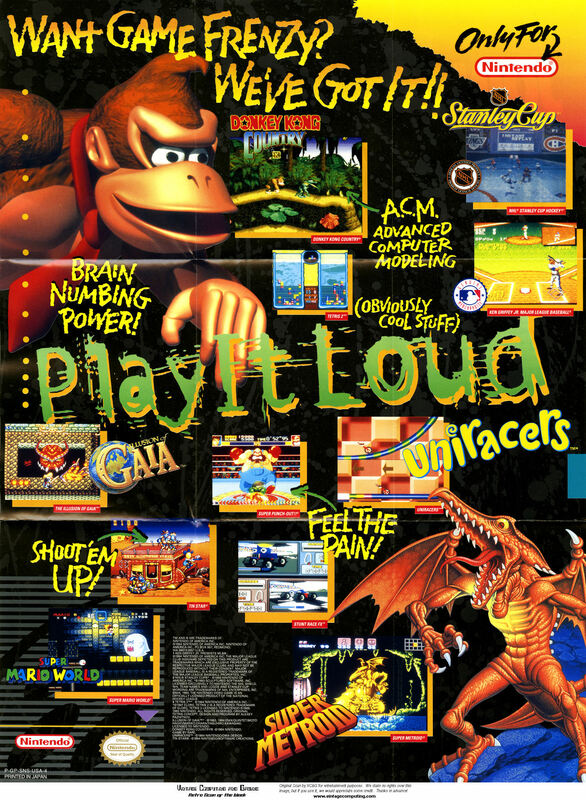 Most underrated Super Nintendo game… geez, that’s kind of a hard one. Largely because my tastes at the time aligned fairly well with the mainstream. It IS weird to consider how much effort was put into selling Illusion of Gaia. 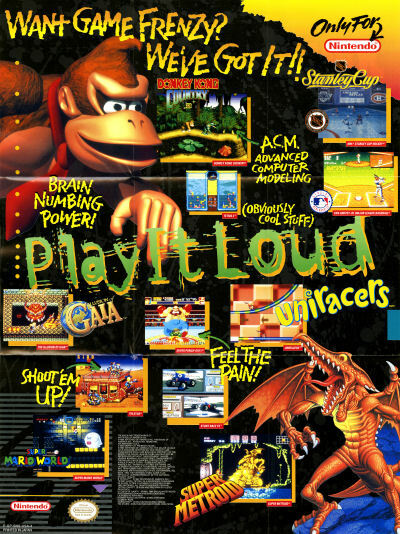 Seeing it on the fold-out poster alongside Super Metroid and Donkey Kong Country reminds me that they went all-out with that one, with magazine ads everywhere and a friggin’ pack-in T-shirt on the first run for some reason(my copy didn’t come with the shirt). And it is a fine game, but it is largely forgotten today. I wish Enix had put even half the effort into localizing it that they and Nintendo put into marketing the dang thing, because the translation is abysmal and it could be so much MORE with remotely competent english writing. I’m going to suggest The Firemen (1994) Human Entertainment for its unique theme and gameplay elements, and the fact that it’s a genuinely fun quality title that probably few know about then or even now. It’s amazing how well Nintendo tracked to that generation of kids. It was very close to a monoculture in my school. 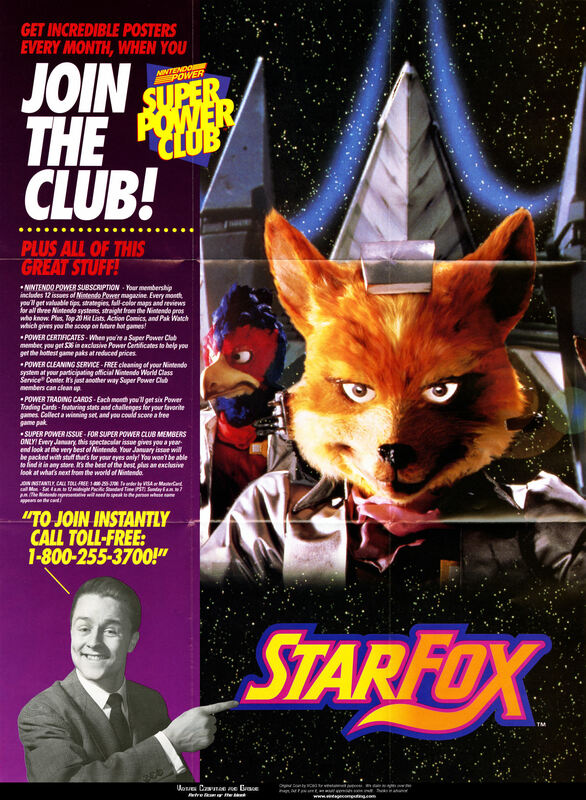 I honestly can’t remember if you’ve interviewed someone from Nintendo’s in-house marketing team. I bet they were feeling pretty good for much of the 90’s. I think for me it was Zombies Ate My Neighbors. What an awesome fun game with cheesy 50’s sci-fi level titles and such. Was awesome fun, just needed a better save feature.